The Ben Hogan Trophy Award makes a lasting impact on the community as well as on its finalists and their universities. Since 2002, the Hogan Trophy Award Foundation has distributed more than $600,000 in contributions to support college golf as well as designated charities of its special guests through the award. 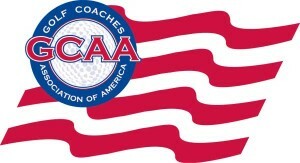 More than 30 men’s college golf programs have received assistance from the organization through the years. In 2018, the Hogan Trophy Award distributed $85,000 to the men’s golf scholarship programs at 10 universities. A record $32,000 was granted to the winner’s university, $16,000 to the finalists’ schools and $3,000 to the seven semifinalists’ colleges. Other grants brought the organization’s total 2017 charitable contributions to more than $100,000. Chris Kirk, the 2007 Hogan Award recipient, won the 2015 tournament title. The following year, Jordan Spieth, a finalist in 2012, claimed the Colonial crown.